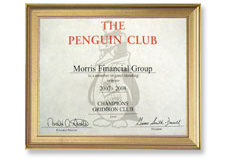 Making a difference is what Morris Financial is all about. Both as a company and as indiviuals, we assist non-profit organizations by helping raise awareness for their causes. By giving generously of our time & dollars, we try to give back to the community that has helped us to become a success. © 2019 Morris Financial Group. All Rights Reserved. Powered by WordPress. Created by Muffin group.